The picture yesterday was a milestone because it was my first time out driving, running errands, in a while. I survived 3 errands and came home exhausted, but I did it!! Recovery is finally in my sights. Today I'm headed back to the hospital for removal of both kidney stents, laser lithotripsy on my left kidney, and a new stent in my left kidney. 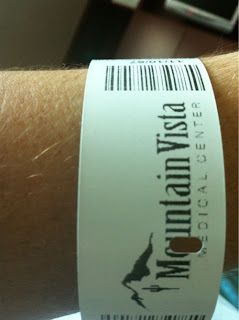 Hopefully when I head back home, the huge stone that has been blocking that kidney for who knows how long will be gone! The laser treatment has to be done under general anesthesia, but thankfully it's considered outpatient so I should be home tonight. Expectation is a few days of recovery, then I am hoping against hope that the stent in my kidney will be removed next week, so that I have a few days to recover from that and I will be ready for the trip to Texas that Nate & I have been planning for months. Well, no matter what I'm going on that trip, but I don't want to be in the pain that I've been in the last month from those stupid stents while we're there. I am so ready to put this behind me and get back to some sort of normal life again! It's been a LONG month. Okay. I know I wrote a post earlier today that said I probably wouldn't get to a review just yet. 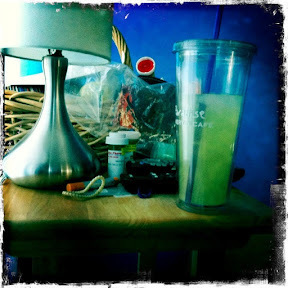 But, I have the pictures and I'm up waiting for a painkiller to kick in so I can get some sleep, so I decided it would be nice to cross this off my to-do list! I almost sent my family without me because I was feeling awful, but at the last minute I decided that I didn't want to miss the circus. I'm glad I went! The show was exciting and colorful and fun! One thing that is really neat about this circus is the pre-show. An hour before the circus is scheduled to begin, the audience can head down to the floor and interact with the performers. There are clowns performing, dancers, animals and more -- and you can get an up-close experience! Sometimes you can even be pulled into the act and learn a trick or a move from the performers. In the past, the boys have gone down, but this year they stayed in their seats while Lydia and Bo headed down to the floor. The show did not disappoint. Both boys said their favorite part was the guy that was set on fire, then shot across the arena from a huge crossbow. Really -- that happened! It was pretty amazing! My husband loved the elephants and tigers. My favorite was the ribbon dancers (that danced in the air, since the ribbons were suspended from the ceiling -- magical!) Lydia liked the clowns again, but was disappointed not to see her green-haired favorite. She also liked the horses. The show is non-stop action. Even though the stage has to be re-set for each act, the clowns entertain the audience while the new props are set up so you don't even realize what's going on in the background. It's a nice mix of amazing human acts interspersed with some animal acts. The skill and athleticism of the performers is fantastic! If you haven't been to a Ringling Bros. and Barnum & Bailey show, I highly recommend going. And even if you went last summer, be assured it's a completely new show! This is our 3rd year going to the circus, and it's been a ton of fun each year. More pictures after the cut . 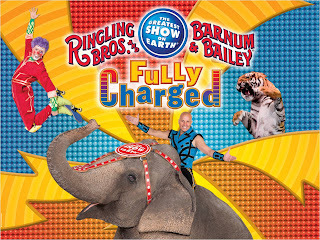 . .
Tonight we are going to Ringling Bros. and Barnum & Bailey's FULLY CHARGED show. I have debated about sending my family without me, but have decided that I don't want to miss it and I'll just deal with the pain so that I can see the show! 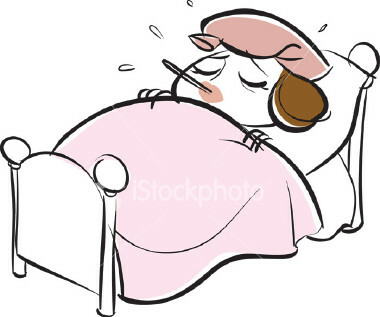 Tomorrow morning, I'm going into the hospital, so while I usually do a review post after we see a show, I realize that I may not have the chance later tonight. Because I know it's bound to be a fabulous show, I wanted to share the discount code one last time with my local readers in case they are looking for something to do this weekend! You can purchase 4 tickets for only $44 by using the special code ELEPHANT at Ticketmaster.com. 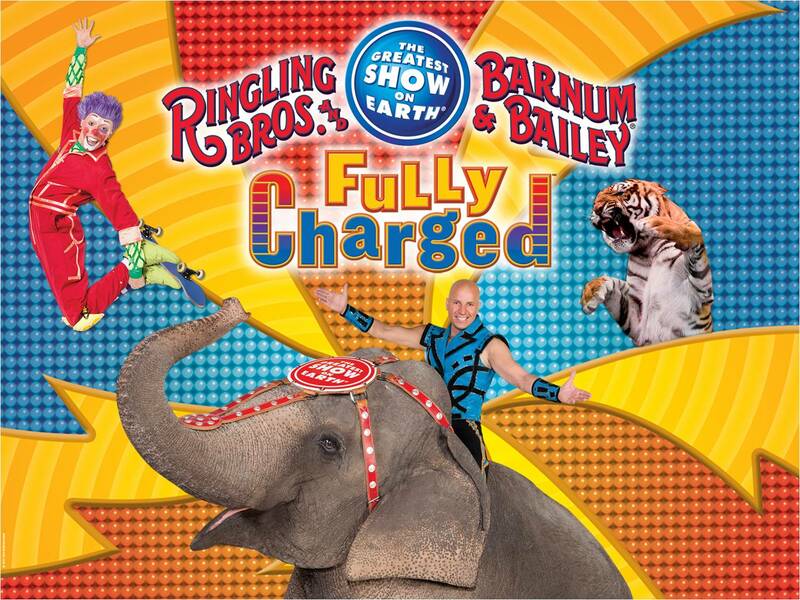 This special is good at ALL shows, but excludes Circus Celebrity, Front Row and VIP seats. 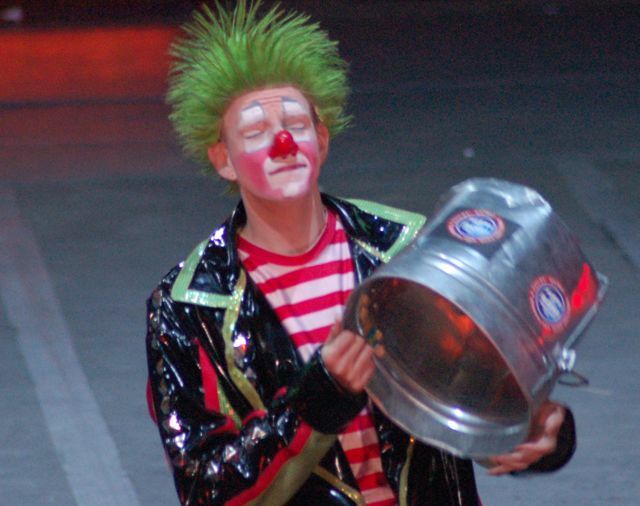 The circus is in town tonight through June 28, 2011! And congrats to my circus ticket giveaway winner -- Sheila & her family! I hope they have a good time tonight! Hopefully I'll feel up to adding pictures tonight, but if not tonight I will post some when I'm feeling better! Lydia is still hoping for her green-haired clown!! A couple days ago I posted a review of Ridemakerz! The kids wanted to do a video review as well, so here it is! Don't forget their Father's Day Promotion -- Buy one custom car & get another for free! This promotion is good this weekend, July 18 & 19, 2011 at all their stores. Having a 10 year old boy at home is extremely helpful when you're too sick to go much farther than from your bed to the bathroom. He may have needed some prompting, but I'm proud of him for stepping up to the plate and taking responsibility for making sure that lunches were served. 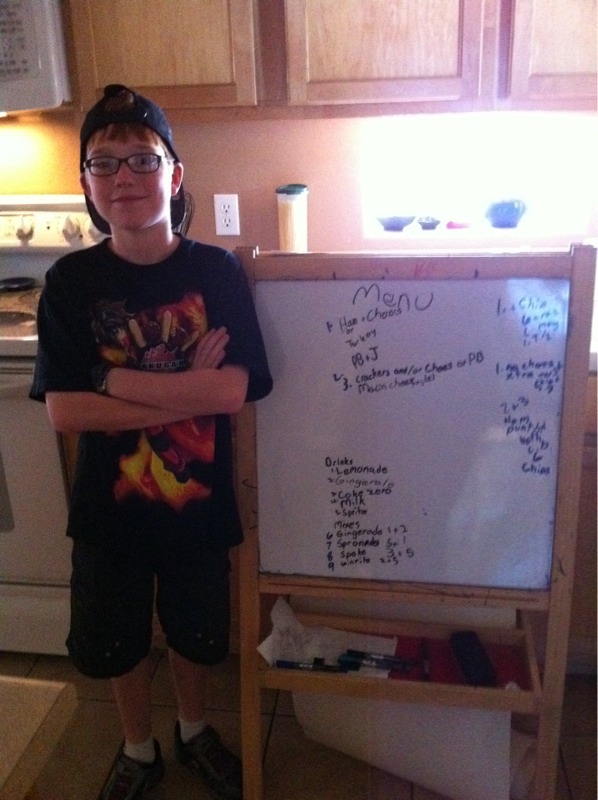 Colin created this menu board after being asked repeatedly what was for lunch one day a couple weeks ago. He listed out a variety of sandwich choices, sides and drink choices. Nate & Lydia helped him put together my lunch and they served it like true restauranteurs (must be all that reality TV we watch . . . ) And, then Colin made sure that he and his siblings had a healthy lunch to enjoy themselves. They're all growing into fine young people, and I'm proud of my eldest for making sure we were all fed! This weekend, we visited Ridemakerz out in Glendale. It was a long ride for us from the far east valley, but everyone agreed that it was well worth the trip!! I had never heard of Ridemakerz before, but when I was contacted about the possibility of doing a review, I knew it sounded like something my boys would enjoy. At Ridemakerz, you create your very own custom car. They have over 30 bodies to choose from, and each of those bodies can be customized up to 649 million ways! The bodies range in price from $18 to $38. 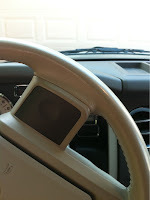 All three of my kids were amazed at all the possibilities! The boys chose their vehicle bodies pretty quickly, and I was thrilled that they had a number of options that appealed to Lydia as well. She ultimately chose a body with a pink paint job. While my kids didn't choose any of the CARS bodies, they had all the CARS vehicles for fans of the movie! After the body is chosen, there are different sound options. The cars all come with a standard sound card, and then you can choose another for an additional $3. The kids listened to all the choices multiple times before choosing an extra sound that was perfect for them! The kids were able to keep the standard sound, as well as their new sound. Once that was done, the next step was to decide whether you wanted a low-riding car, or a monster vehicle. Both Colin & Lydia chose the monster option, while Nate chose to stay low to the ground. There were a number of different wheels to choose then, as well as a number of different rims. Again, there were options for everybody! They had plain rims, rims with dragons, and even rims with daisy flowers! I really like Method products. I have used their laundry detergents, their cleaners, and their hand soap in the past. I like the fact that they are mostly plant-derived and gentle -- while still doing the job I need! I think this new line of hand soap is absolutely adorable! We had the chance to try out the Minnie Mouse Strawberry Fizz foaming hand wash and we declared it a hit! The kids thought the Mickey ears were fun! All the kids also liked the scent of the soap. It wasn't overly sweet -- just a nice, gentle strawberry smell. 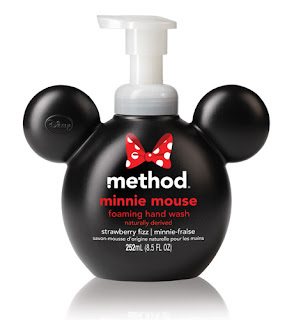 It also comes in a Mickey Mouse version that has lemonade-scented soap. I have seen the soaps for sale at Target and the price is comparable to other Method products. I hope they come out with refillable pouches for these scents, like they have for other soap products. I like to refill soap bottles rather than buy more pumps!